Piotr Lachert (Piotr de Peslin Lachert), born in Warsaw, Poland in 1938, comes from a German-French family established in Poland since the 18th century. He has been a Belgian citizen since 1977, and has lived in Italy since 1992. 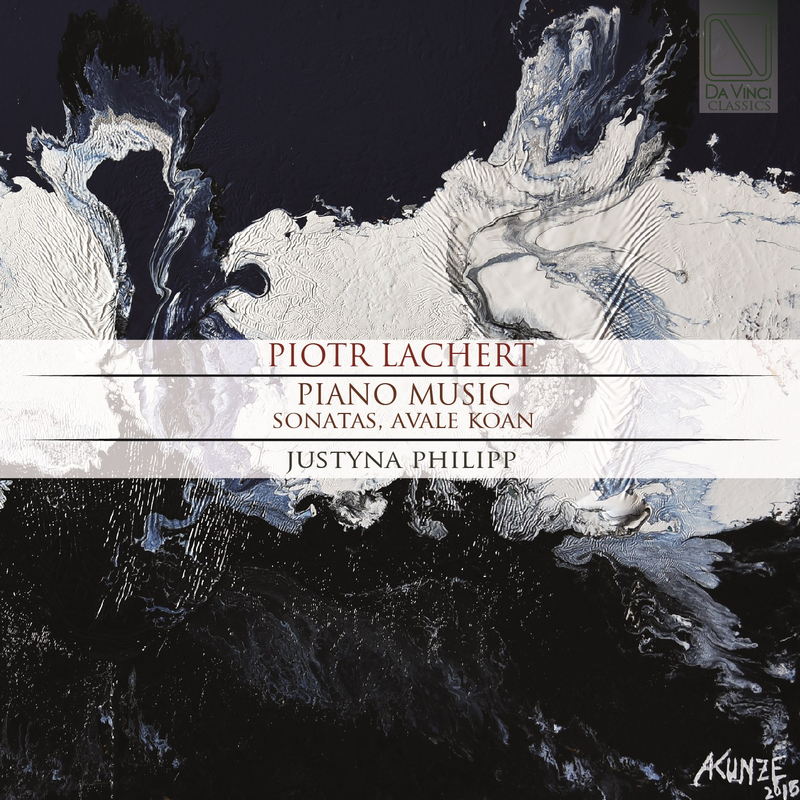 The first piano lessons Lachert received were from his mother, Hanna Lachertowa. He then studied piano with Jan Ekier (Warsaw), Vlado Perlemuter (Paris), and Reimar Dahlgruen (Hannover). At the Conservatoire de Bruxelles, he studied chamber music and conducting. He is a self-taught composer, and has been influenced by artistic contacts with Karol Goeyvaerts, Boguslaw Schaeffer, Maurice Béjart, Bob Wilson, and John Cage. Until 1971 Lachert was a classical piano soloist, oftentimes playing duets with his sister, violinist Hanna Lachert. Since then, he has been a performer, pianist, conductor, and director, all within the context of contemporary music. In 1972 he founded and directed for 20 years the Théatre Européen de Musique Vivante, a musical theatre ensemble based in Brussels. The first “repertoire” of this group was happenings, workshops, multi-media performances, action music, and improvisations. In 1973 he re-discovered the clavichord, an instrument mainly forgotten since the mid-18th century. Lachert was the first composer since the time of J.S.Bach’s sons to compose for clavichord, this time amplified. The first modern clavichord player was Annette Sachs, for whom he wrote many pieces. In 2014, Lachert brought attention to the ancient Chinese instrument the Guzheng, little known in Europe. For the Italian performer of this instrument, Cecilia Bielanski, Lachert composed pieces written in the tradition of European music. Lachert’s compositions have been performed in more than 70 festivals and cycles of New Music concerts, and have been played by about 60 chamber music ensembles and orchestras, and more than 300 soloists. From 1972 to 1976 he worked on electronic, concrete, and acousmatic music in the studio Métamorphoses d’Orphée in Laine (Brussels). Lachert was one of the first composers to write in the “new consonant music” style. In 1976 he created “méthode créative”, a new method for teaching piano, based on controlled improvisation and graphic notation. Its’ first edition was published by Baerenreiter Verlag (Kassel / London). In 1979 Editions Jobert Paris published Lachert’s “Cartes” for violin and piano, one of the first European compositions in the style of repetitive music. Between 1981 and 1984, in cooperation with computer programmer Robert Marchal, Lachert created “Letter Music”, a computer-assisted composition system. Lachert was one of creators and leaders of Jeunesses Musicales de la Pologne (1956 – 1960). Lachert was the director of “New Music for New Pianists”, an international piano competition held 5 times between 1987-1998, in Brussels, Belgium; Pescara, Padova; and Latina, Italy. Between 1997- 2005 he was the director of the five “Città di Pescara” Awards, an international composition competition in Pescara, Italy. In 2011-2012, together with Jörg Grünert and Alessandra Fol, Lachert organized three sessions of GRAFIMUSE: a visual art competition with works made only by professional musicians. The competitions, held in Pescara and Fermo, Italy, and Sophia, Bulgaria, included audience participation where they would improvise music as if the pictures were graphic scores. In 1988 Lachert became the artistic director of “Alain Van Kerckhoven, éditeur” (Brussels), the world’s first “New Consonant Music” publisher. In 1992 together with Valentina Chiola, Lachert founded the music publishing house “Chiola Music Press” (CMP), now known as “Consonant Music Press.” The press is devoted only to new consonant music. Lachert taught piano at the Liceum Muzyczne in Warsaw, Poland; the Conservatory in Brussels, Belgium; and Accademia Musicale Pescarese in Pescara, Italy. He was a juror in many piano and composer competitions. Philipp, Justyna (Pianista), was born and studied piano in Gdańsk. She pursues her studies in Warsaw and Weimar with pianists Amadeus Webersinke, Andrzej Jasiński and Ekaterina Popowa-Zydroń. Since 2000, she has regularly recorded works by Piotr Lachert and other new music composers in collaboration with the Polish Radio Gdańsk. The city of Gdańsk has rewarded her for her 20 years of artistic activity. She plays concerts in Poland and abroad.